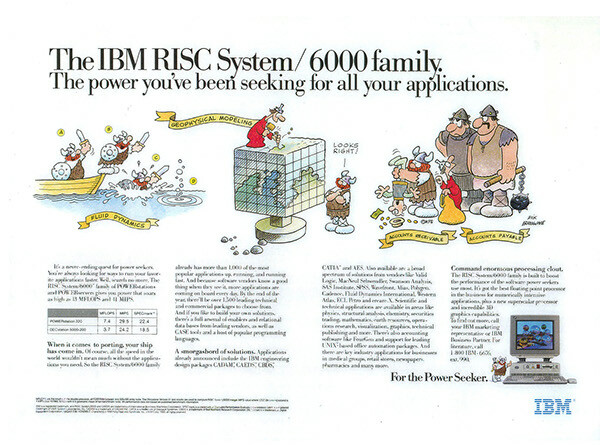 I had the pleasure of working with cartoonist Chris Browne of Hagar the Horrible fame to craft an award-winning campaign for IBM's first desktop workstation, the RISC System/6000. 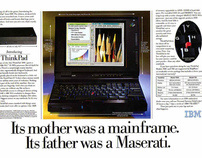 The ads equated the machine's unprecedented desktop power with that of the conquering hordes. 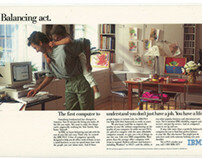 The scientific community loved the way the ads communicated their concerns in a fun and creative way. And I somehow convinced IBM that techies were indeed humans too and that even the most technical subjects could -- and should -- be written engagingly. 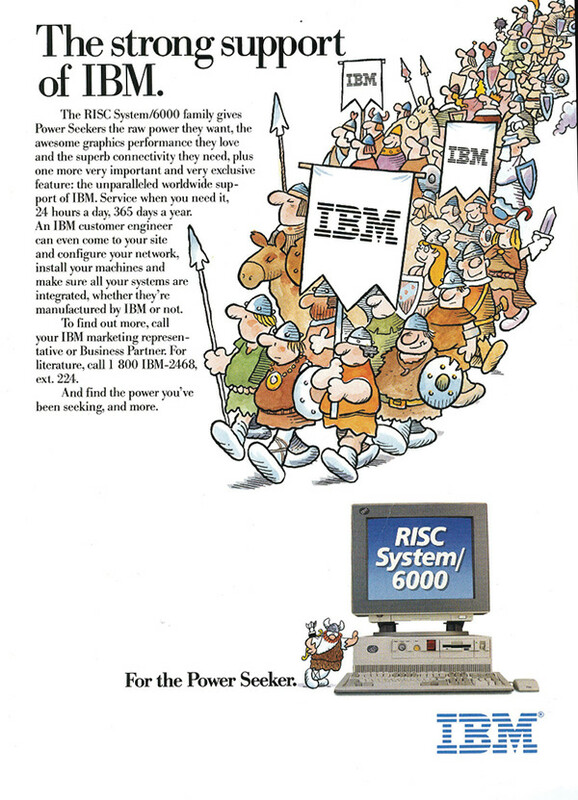 This add showed how the rISC System 6000 could give users the unprecedented ability to run data-hungry activites like Fluid Dynamics, Geophysical Modeling and Accounts Payable/Receivable right from their own desktops. 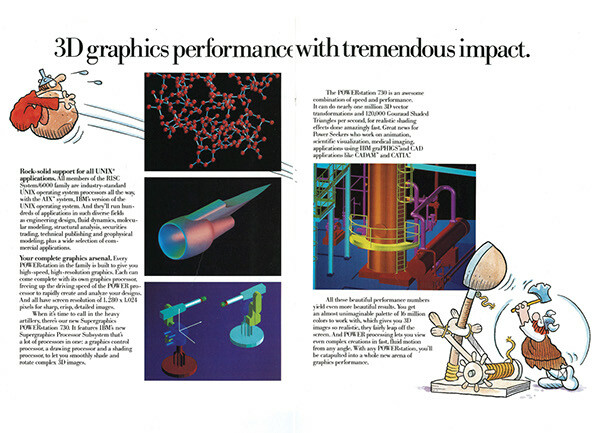 This ad was an early one for the IBM PS/2, talking about its networking power. 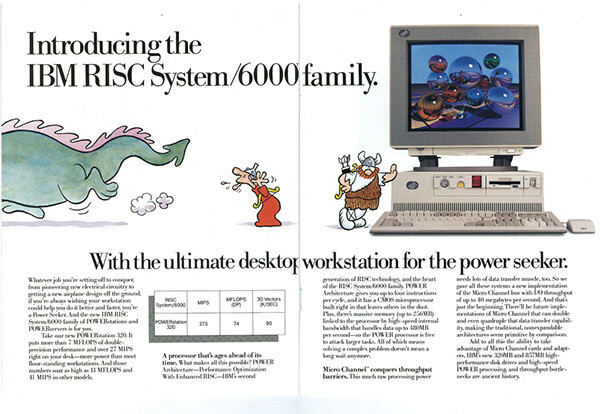 Eventually the PS/2 was pitched more toward consumers than business, and the Hagar concept was co-opted for the more powerful RISC System 6000 line. Ah, the give and take of business relationships. The joys of working as a team. The magic when everyone makes a contribution. At IBM, we know good teamwork can make the difference between a dynamic, competitive business and one where the right hand doesn't know what the left hand is doing. That's why we designed the Personal System/2 family of computers to not only let you do more wonderful things, but to let you do them together. 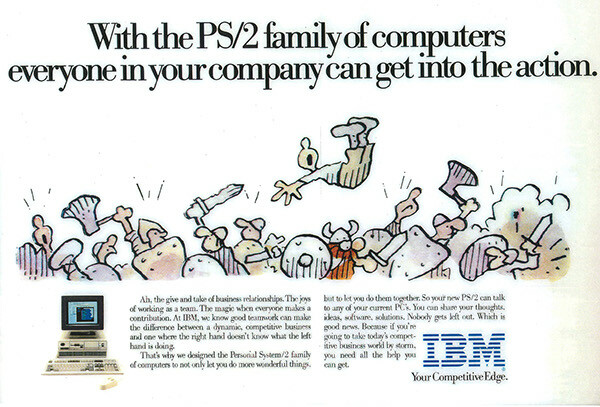 So your new PS/2 can talk to any of your current PCs. You can share your thoughts, ideas, software and solutions. Nobody gets left out. Which is good news. 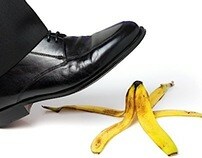 Because if you're going to take today's competitive business world by storm, you need all the help you can get. 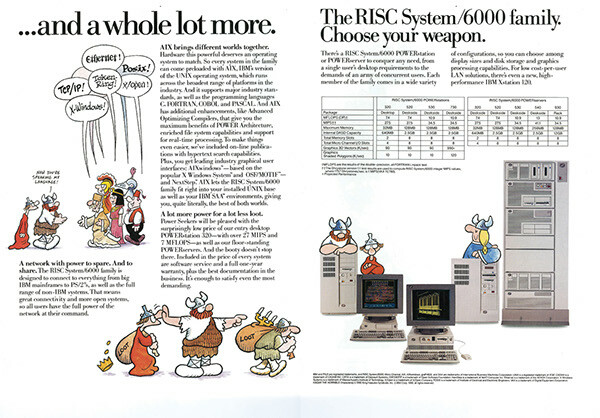 This is the cover of an 8 page brochure I wrote with the help of art director Bruce Arendash and the wonderful cartoonist Chris Browne to sell the RISC Systm 6000. (The following pages are below. 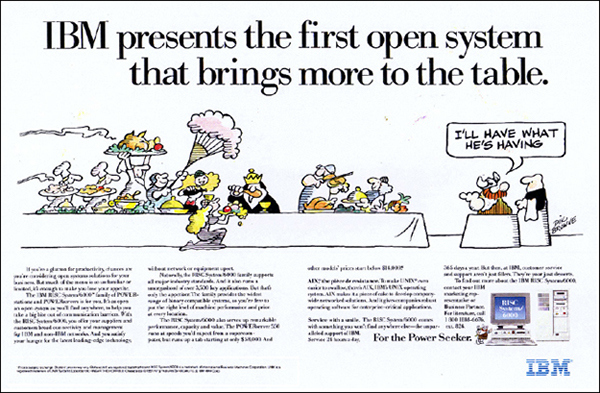 )In it we follow the exploits of Hagar and his sidekick Lucky Eddie as they conquer the brave new world of high-powered workstation computing. 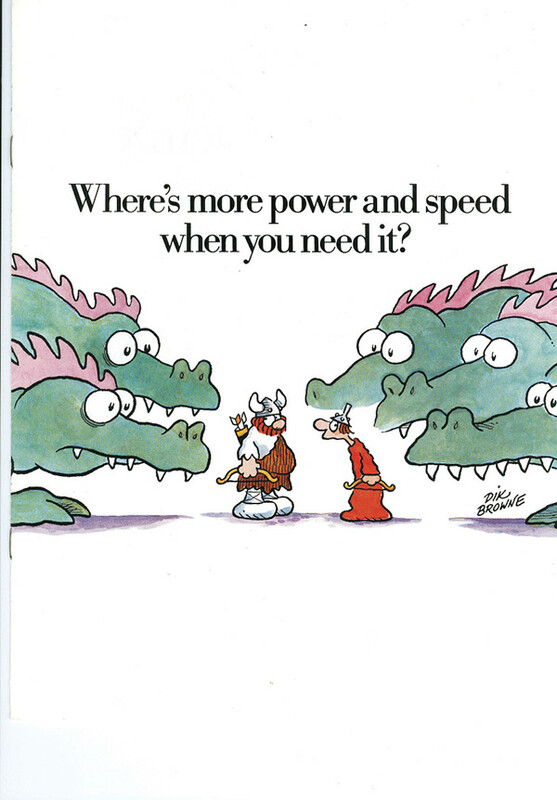 I still get requests for reprints of this from IT executives who seek me out.